It's Saturday afternoon and you're looking someplace simple to meet up with your crew. That place is Isao. Why? This small sushi bar has just what you need: Fresh ingredients to help nurse that hang over, and inventive presentation that'll please everyone from your kids to your foodie bestfriend. Japanese expatiates love the place, even though it's a more westernized (and we dare say fusion) form of Sushi. 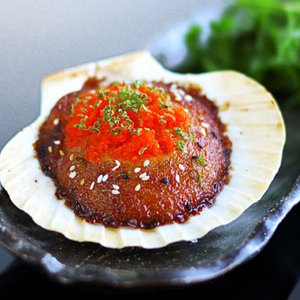 Try the famous Volcano, a scallop covered in thick hot sauce, No Rice Roll, or Rainbow Roll. From Sukhumvit Rd. enter Soi 31. Go straight for approximately 150 meters, Isao will be on the left.